Hitachi 40HB6T62H review - this is a budget 40 inch smart TV with built-in WiFi connection and good quality Full HD picture. I will not spend too much time in presenting this TV since it is not very popular, I just wanted to share its main features, specs and price information. I personally am using a 40 inch Sony Bravia KDL-40WD650 in our living room and I think the size is just the right one (probably could increase up to 43 inch some time in future). Many people these days consider the 40 inch just too small for home cinema but it is up to the room size, so please don't forget to take this into consideration when buying your next TV. 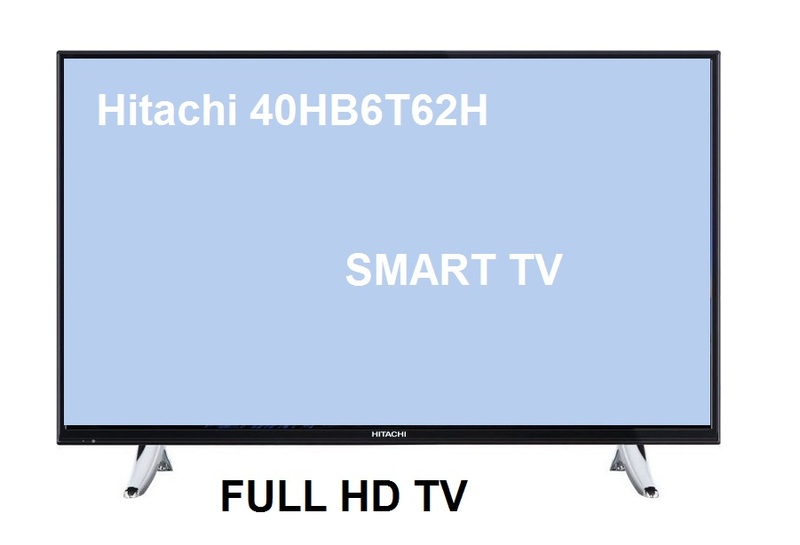 Hitachi 40HB6T62H is not an Android TV and the Smart TV functions are not as good as those on Google's mobile operating system. The most use you can get by using it as a smart television is taking advantage of the Netflix and YouTube applications through wireless connection. The price is around $350 which looks quite fair to me. Some of you may have not heard of the Hitachi brand but their products are pretty good, not premium thought. Hitachi 40HB6T62H Smart TV is a good purchase for those looking for an affordable 40 inch smart TV set.